Photo courtesy of Julien Moreau. There is a great divide in the United States. Land in the East is mostly privately owned, while nearly half of the land in the West is under federal control. 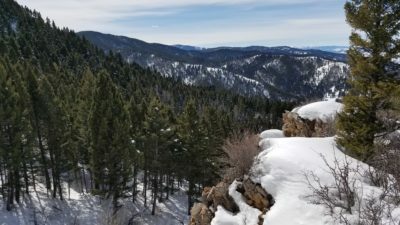 In recent years, several states have considered resolutions demanding that the federal government transfer some of this land to state ownership—specifically, millions of acres of multiple-use lands managed by the U.S. Forest Service and Bureau of Land Management. 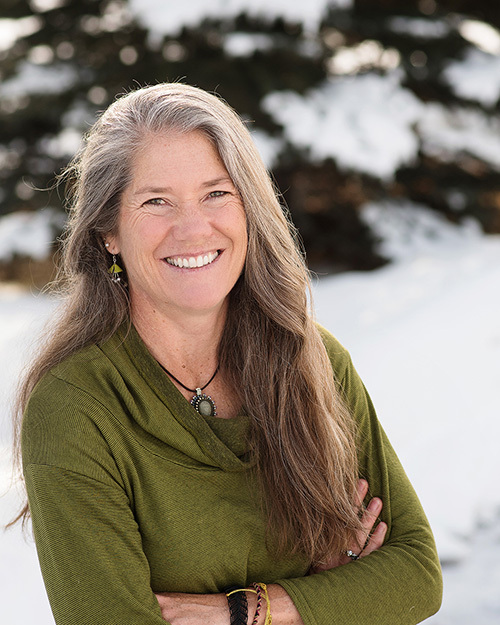 These efforts are motivated by concerns over restrictions on natural resource development, land management practices, limitations on certain forms of access, and low financial returns to neighboring communities. Should some federal lands be transferred to western states? If so, how would it affect their management? And if not, what else should be done to improve federal land management? In 2016, PERC hosted a workshop on “Innovations in Public Land Management” to explore policy solutions with leading experts from a variety of perspectives. We asked many of them for their perspectives on these questions. Federal lands have issues that should be addressed, but they should not be transferred to the states. Although he was not referring to federal lands, James Madison put it succinctly: “The federal Constitution forms a happy combination in this respect; the great and aggregate interests being referred to the national, the local and particular to the State legislatures.” Federal lands are nationally important and should be managed by the national government, which can do a better job incorporating the diverse perspectives and interests of those who use and enjoy the lands. Some claim that states can do a better job at managing the federal lands, but their claim never answers the question “at what?” Rep. Mike Simpson of Idaho recently asked the Congressional Research Service to analyze the cost of managing the federal lands in his state. 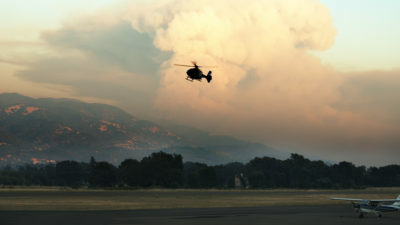 The estimated cost was more than $300 million, not including the massive cost of fire suppression. Public support for the transfer idea declined rapidly when it became apparent that the only way to raise $300 million would be through land sales, resource extraction, and tax increases. There are clearly problems with federal land management. The collaborative movement has sprung up throughout the West to address some of these issues, allowing participants to solve problems and “practice democracy” at more local levels. But the collaborative movement comes with its own challenges, and its solutions are tenuous. Local interests of all persuasions are often frustrated when on-the-ground federal managers leave for another position or are transferred to another region. Momentum is stalled when new managers are not as well versed in working and listening with collaborative groups. There is also a growing conversation about public land law reform—or even a new Public Land Law Review Commission, which was established in 1964 to recommend public land reforms. While the devil is in the details, those conversations should continue. Finally, innovative solutions have begun to emerge in certain areas. 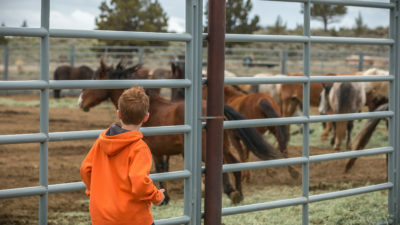 For instance, the Sawtooth National Recreation Area and Jerry Peak Wilderness Additions Act, which was signed into law in 2015, allows some ranchers with federal grazing permits in the region to voluntarily retire their permits and receive compensation from a third-party conservation group. This is a creative way to resolve a significant public land conflict. Solutions like these far outweigh the costs and consequences of transferring federal lands to the states. 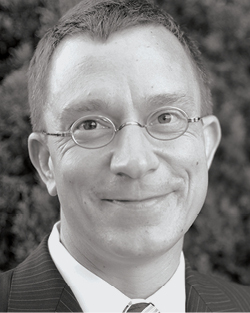 John Freemuth is a professor of enviromental policy at Boise State University and the executive director of the Cecil D. Andrus Center for Public Policy. “Of certain administrators,” said Great Northern Railway founder and noted soil conservationist James J. Hill in 1910, “it might be said ‘they make a desert and call it conservation.’” Hill was critical of the Forest Service and other federal land agencies for wasting money and doing more harm than good to the environment. More than 100 years later, federal lands remain controversial. Years ago, PERC’s Don Leal did a notable study finding that state forest lands were often better and more profitably managed than federal lands. 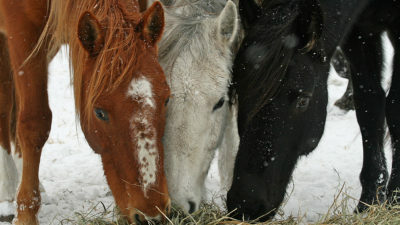 This appeared to support renewed calls for transferring federal lands to the states. I followed up Leal’s research by reviewing more than 150 state land agencies, including forest, park, and fish and wildlife agencies. I learned that the vast majority were as poorly managed as federal agencies. They lurched from budget crisis to crisis; they were alternatively torn one way and then the other as different political groups took power; and their environmental records were far from pristine. As Leal found, a few agencies were well managed. These were the state trust agencies, created to manage lands that the federal government had given to the states to help fund schools. Although the word “trust” was not used in the legislation that transferred lands to the states, the state courts interpreted these gifts under ancient British common law for fiduciary trusts. Among other things, the trust doctrine required the states to manage the lands at a profit; to manage them solely for the benefit of schools or other designated beneficiaries; and to preserve the corpus of the trust, which was a stronger “sustained yield” requirement than appeared in federal law. This doctrine gave the agencies a clear mission and strict accountability to meet that mission. In short, what made the agencies Leal studied succeed was not that they were state owned but that they were trusts. The solution to the federal land conundrum is to turn those lands into federal trusts. While the lands would nominally remain federal, the trusts would manage them to produce revenue and be funded out of their own revenues, not tax dollars. Debates over timber versus recreation or grazing versus wildlife would be resolved by people’s willingness to pay for those uses. In this way, trusts would encourage people to cooperate rather than be polarized over land management. 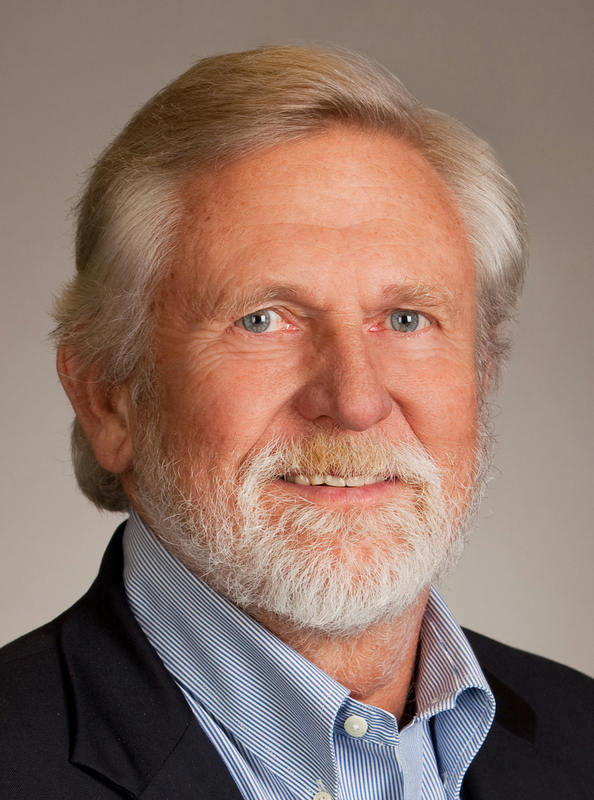 Randy O’Toole is a Cato Institute senior fellow and author of “A Matter of Trust: Why Congress Should Turn Federal Lands into Fiduciary Trusts” (Cato Institute, 2009). The present situation on national forests has stimulated proposals for transferring lands to state ownership. In part this is because timber management and all other uses are restricted by policies designed to protect endangered species and biodiversity. Changing such rules, rather than ownership, offers potential for on-the-ground improvements in timber management. I suggest that certain areas of public lands identified as suitable for timber production should become “dominant-use zones” where timber harvesting is given priority over other uses. Congress would need to design guidelines for these zones—such as requiring they be established via collaborative processes among diverse stakeholders—and also reform the way biodiversity is protected by making changes to the Endangered Species Act and the National Forest Management Act. These suggestions would essentially make species protection on federal lands the same as on state and private lands. First, Congress should direct the U.S. 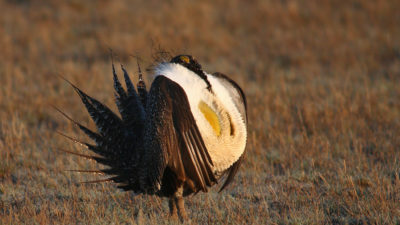 Fish and Wildlife Service to rewrite ESA rules so that the act’s “take” prohibitions—which include actions that “harm” protected species—do not include adverse habitat modification outside of ESA-designated critical habitat areas, defined as areas essential for species recovery. Including such modifications as a “take” in areas that are not required for species recovery imposes costly restrictions on timber production and other activities outside of critical habitat areas. Second, the NFMA requires the U.S. Forest Service to manage for diverse plant and animal species, codified in a rule requiring “viable populations” of species selected by agency biologists. The rule should be scrapped, and biodiversity protection should be refocused on ESA-designated critical habitat. NFMA plans describe where timber, motorized recreation, and other activities may occur. These land-use maps should also identify ESA-designated critical habitat and other dominant-use zones. If additional habitat protection needs arise during formal collaboration among stakeholders, NFMA plans should be amended, and timber production could be adjusted accordingly. Much of the rest of the NFMA should be scrapped, including some of the law’s uneconomic timber-management stipulations. Essentially, the NFMA plan would delineate dominant-use zones for wilderness, species protection, and other uses. If a collaborative group agrees that timber harvesting is acceptable in some places, then the NFMA plan should be amended to identify dominant-use timber production zones, subject to guidelines issued by Congress. These zones could include categorical exemptions from environmental review under the National Environmental Policy Act analysis and, where critical habitat overlaps the zone, expedited ESA consultation. 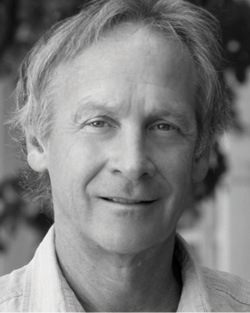 Jay O’Laughlin is a professor emeritus and director emeritus of the College of Natural Resources Policy Analysis Group at the University of Idaho. Critics of transferring large areas of federal land to western states often argue that the states will have no choice but to privatize the lands. The costs of managing the lands, they contend, will be so great that states will be forced to sell off major parts of such lands. One state that has studied this issue closely is Utah, which has proposed a transfer of 88 percent of the federal lands within its border to state control (national parks and wilderness areas would remain federal). In 2014, Utah released a 732-page analysis showing the likely fiscal impacts. The direct costs of managing federal lands in Utah were $251.4 million in 2012. Factor in payments in lieu of taxes (federal payments made to local governments to offset losses in property taxes due to non-taxable federal land ownership) and the total federal cost of managing the lands proposed for transfer came to $286.8 million. As for the financial benefits, mineral leasing revenues on federal lands in Utah in 2013 were $308 million. Utah received $138.1 million as its share of these mineral revenues, while the feds retained $169.7 million. Federal surface land revenues in 2013 were $23.7 million, with only a small part going to the state. Based on these numbers, the net fiscal impact on Utah of a transfer would have been a loss of roughly $100 million in 2013 ($189.7 million in new revenues offset by $286.8 million in management costs). What about wildfire costs? Federal wildfire suppression and prevention costs in Utah averaged $76.7 million per year from 2008 to 2012. The increased acres burned annually and intensity of wildfires in the West in recent years are due in large part to past federal mismanagement. The federal government should therefore continue to fund its existing wildfire management activities. In that case, Utah would incur a minimal total cost of about $20 million—a relatively small price to pay for taking control over such a vast area of the lands within its borders. On the federal side—even with a transfer to Utah of full mineral rights, and with the federal government retaining wildfire responsibilities—the U.S. government would come out slightly ahead, gaining about $20 million in 2013. And in practice, Utah would likely have lower land management costs and earn higher revenues than the federal government. Thus, fiscal considerations would likely pose no significant obstacles to a large-scale transfer of federal lands to Utah. Robert H. Nelson is a professor in the School of Public Policy of the University of Maryland, and from 1975 to 1993, worked for eight different secretaries of the Interior Department. At the heart of the debate over transferring federal lands to state control are questions about who is responsible for the management of public lands, who gets to use those lands, and who benefits from that use. These questions have driven every debate about public lands management since the federal government committed to retaining land with the creation of national parks, forests, and rangelands in the early 20th century. By the late 1970s, these questions spurred a national dialogue when ranchers and those who worked in extractive industries such as mining and lumbering expressed outrage at a series of policy changes that threatened these traditional uses. In this “Sagebrush Rebellion,” as it became known at the time, local residents whose livelihoods depended upon public land resources protested the rapid and frequent changes in land management, which increasingly emphasized federal oversight and decision-making, environmental restrictions, and higher fees for resource development. 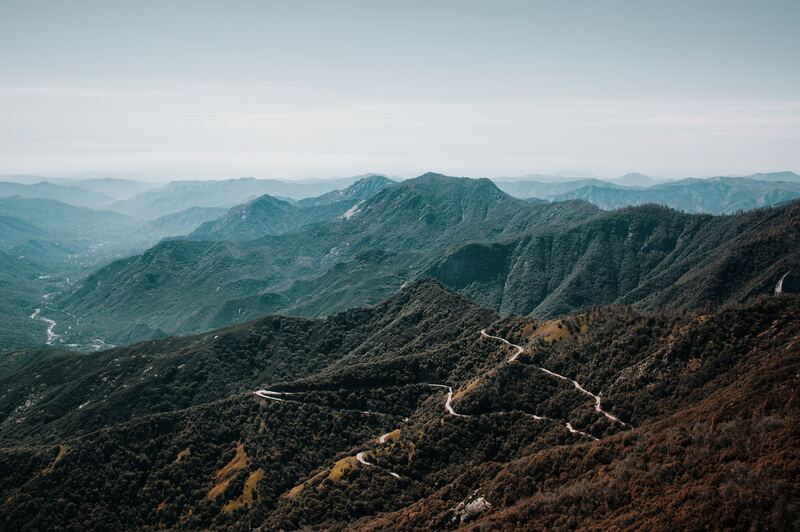 This upheaval drew sharp boundaries between public land users and land managers, extractive industries and environmental preservation, local and national interests, as well as between competing land users. These same divisions are still apparent today. Those who view public lands as a national resource best used for economic development prioritize the productive use of the lands in ways that financially benefit people and the broader economy. Those who see public lands as spaces for personal encounters and experiences with nature favor large-scale federal agencies that control and direct land use. And those who earn a living off public lands seek to manage their own activities directly and consider many of the lands as part of their home. In each of these cases, the question of who is responsible for the management of public lands and which types of uses are allowed is less important than the question of who uses the land and derives benefits from it. Historically, at least in theory, every American has a stake in their public lands and can enjoy the benefits of their use in some manner, though these uses have and will continue to change. Much of the ability of Americans to enjoy public lands comes from the fact that they are federally managed, but the federal government cannot manage them alone. Perhaps the greater question is how we, as individuals, communities, corporations, and states, can better assist the federal government in this management. As a public land hunter, I do not think federal lands should be transferred to states. If lands were transferred they would likely end up as state trust land, and public access rules on trust lands in the West are as varied as they are complex. Most of all, they are highly restrictive. State trust lands are not “public lands” like federal lands are. Rather, they are managed to generate revenue for specific beneficiaries, usually public schools. Arizona and New Mexico go so far as to insist that “state trust lands are NOT public lands.” Arizona requires an access permit for all activities, even for walking your dog. For many of us who use federal lands for hunting, camping, and fishing, a transfer would bring big challenges. At best, it would decrease public access. At worst, it would result in land disposal, locking us out of recreational opportunities. This nearly happened in Oregon’s Elliott State Forest, which the state put up for sale in 2015 (although, in response to public pressure, it recently announced it would retain the forest after all). Colorado, for instance, prohibits hunting on its trust lands unless permission is granted by the lessee, usually at a significant cost. State transfer would eliminate access to 23 million acres of federal lands currently open to hunters in Colorado. If hundreds of millions of acres of federal lands currently open to recreation were transferred to states with restrictive rules, it would amount to a divestiture from all of us who currently enjoy using these lands. Moreover, the outdoor recreation economy is a fast-growing industry that relies on public lands. Above all, state transfer will result in land disposal, as states would end up selling the lands to comply with profit-requirement of their state trust mandates. Even if lands are not sold, restrictive rules will reduce public access for hunting and other forms of recreation, hurting locals and the businesses dependent on public land access. Randy Newberg is an avid hunter and advocate for sportsmen dependent on public lands for hunting access. He hosts the “Fresh Tracks” TV show and Hunt Talk Podcast. State trust land agencies, for example, are mandated to generate revenues for every activity for the benefit of schools and other public institutions. This fiduciary responsibility—which, due to its straightforward mandate, creates autonomy and flexibility for state managers—encourages decision-makers to balance various resource uses by comparing their market values. In a recent study at PERC, we found that state trust managers generate significant financial returns across multiple land uses. By contrast, the Forest Service and Bureau of Land Management lose money on every activity except mineral development. Overall, the states we examined earned an average of $14.51 for every dollar spent managing their trust lands, while the Forest Service and BLM generate 73 cents for every dollar spent. These findings are not surprising. They reflect the different statutory, regulatory, and administrative frameworks that govern state and federal lands. After all, state trust agencies are required to generate revenue, while federal land agencies are not. Federal managers have little incentive to cut costs or increase revenues because they are not required to do so. Moreover, overlapping and conflicting federal regulations raise management costs and provide no clear mandate for federal land managers. The end result is that, compared to state trust lands, there is relatively little resource development or active management on federal lands, apart from providing general conservation protections and recreation opportunities. More local control of public lands makes sense. Local communities have a lot to gain and lose from nearby resource management decisions. Nonetheless, good management depends on more than the level of ownership. To encourage environmental and fiscal responsibility, public land policies—both state and federal—must align the incentives of land managers with a clear desired outcome, and then give them the autonomy to find the best way to get there. 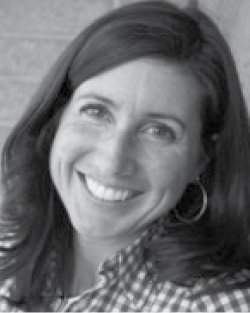 Holly Fretwell is a research fellow at PERC and author of Who Is Minding the Federal Estate? : Political Management of America’s Public Lands (Lexington Books, 2009). Transfer legislation passed in Utah and others states has been designed to allocate land ownership along lines consistent with original agreements, understandings, and expectations of the states. One of the strongest legal arguments for a federal transfer of public lands to states is the “compact-based duty to dispose.” The argument is as follows: When several states, including Utah, entered the Union, the enabling acts that formed their agreements for entry were informed by the predominant ethic of the time, which favored the disposal of federal public lands. 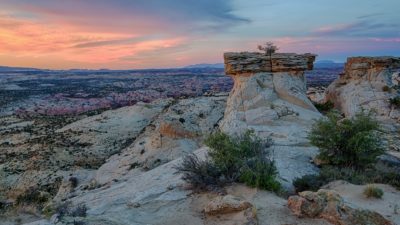 When states gave up their claims to title to unappropriated public lands, like Utah did in Section 3 of its enabling compact, they arguably did so for selfish purposes. They helped the federal government clear title so that it could find willing purchasers for the property, facilitating transfers in which the state had a financial stake. The lands would otherwise have been unlikely to sell or would have sold at lower prices to account for title risks, leaving the state at a financial disadvantage. Thus, states became invested in and relied upon the existence of disposal, and they lost the benefit of their bargain when disposal ceased. These and other theories of the federal government’s obligations to dispose land remain untested in the courts, but there are credible arguments to be made. Despite what transfer critics say, precedent does not foreclose them. Transfer opponents too often commit two principal errors when discussing the legal issues: They lump together all legal arguments in favor of transfers rather than confront theories independently, and they overstate the case law, making largely conclusory statements that transfer demands are invalid or rely on nothing more than distinguishable dicta. Although it is true that federal supremacy exists for lands while the federal government possesses them, it is not true that perpetual federal ownership and control is mandated by the Constitution. Donald J. Kochan is associate dean for research and faculty development and professor of law at Chapman University’s Dale E. Fowler School of Law, and the author of “Public Lands and the Federal Goverment’s Compact-Based ‘Duty to Dispose’: A Case Study of Utah’s H.B. 148-The Trasfer of Public Lands Act” in the Brigham Young University’s Law Review (2013). 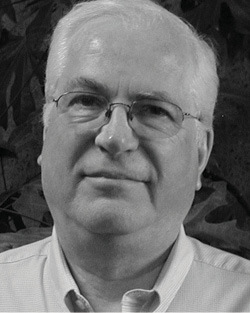 Robert H. Nelson is a professor of public policy at the University of Maryland and a 2010 Lone Mountain Fellow at PERC. From 1975 to 1993, he worked as a senior economist in the Office of Policy Analysis of the Office of the Secretary of the Interior. Though a CPA by trade, Randy Newberg spends four months a year hunting the wild lands of the West. When not hunting or working, Randy spends his spare time volunteering for conservation groups both locally and nationally. 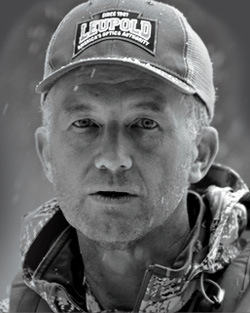 Randy has produced a television series, On Your Own Adventures, which will air in the fall. Donald J. Kochan is associate dean for research and faculty development and professor of law at Chapman University’s Dale E. Fowler School of Law, and the author of “Public Lands and the Federal Government’s Compact-Based ‘Duty to Dispose’: A Case Study of Utah’s H.B. 148 – The Transfer of Public Lands Act” in the Brigham Young University Law Review (2013).